Liam Smith, 16, was captured on CCTV boarding a bus in Aberdeen. 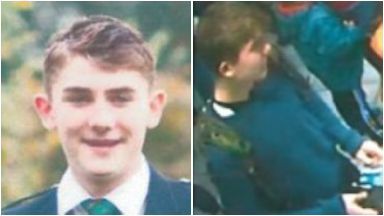 Missing teenager Liam Smith has been recorded boarding a bus in Aberdeen. As reported by STV News previously, the 16-year-old was reported missing from the Queens Road area of the city on Saturday. CCTV images have now been released as part of police enquiries to help trace the teen, which show him buying food in McDonald's on Union Street at 12.28pm before boarding the 202 bus from Union Square to the Deeside area at around 1.30pm. Enquiries are currently ongoing with the bus company to establish where and when Liam got off. Inspector Jackie Knight said: "Liam was reported missing to police on Sunday morning, but he was last seen during the afternoon of Saturday, November 17. "Given the passage of time his family is naturally becoming increasingly concerned for his welfare. 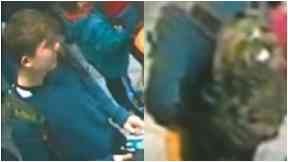 "We are asking that if anyone saw him on board the 202 bus on Saturday that they contact us. We just want to make sure he is safe and well as soon as possible. "I would also appeal directly to Liam that if you are reading this you contact police to let us know you are okay." Liam is white, 6ft 4in, is of slim build, and has short brown hair. He was wearing a dark top, blue jeans, Nike Air Max trainers and was carrying a camouflage-coloured North Face backpack.